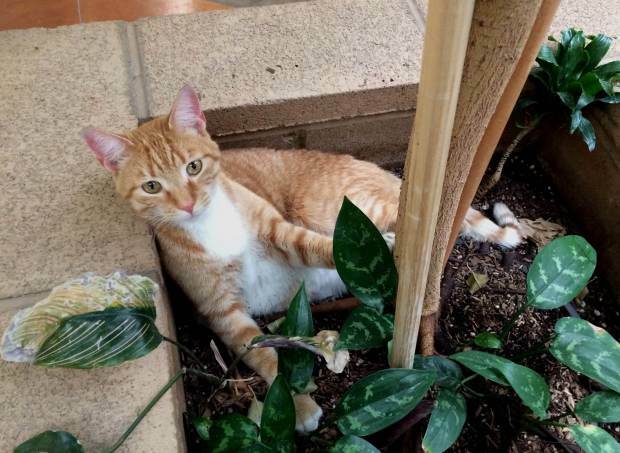 A furry stowaway who had been missing from his South Carolina home since 2013 has been found hiding in a trailer in Southern California.Kevin the orange tabby cat made the more than 2,500 miles to the Arizona-California border without detection until he was discovered during a routine state food and agriculture check. Two nonprofit organizations, Shelter Transport Animal Rescue Team and the Animal Solutions Konnection Foundation and shelter employees have made donations to pay for the cat’s journey home. Riverside County is coordinating the cat’s flight plan, and he is tentatively slated to fly home Wednesday morning.